Mohammed Al-Dayeh has been under interrogation on suspicion of establishing and managing two Facebook pages -- "Sons of the Martyrs" and "No to Corruption." The Palestinian Authority claims that both accounts were used to wage a smear campaign against top Palestinian officials and accuse them of financial and administrative corruption. There is only one small problem regarding the charges against Al-Dayeh: The man cannot read or write, and as such there is no way he could have posted the offensive remarks on Facebook. This is about how Palestinian leaders continue to march their people towards yet more harm and grief. This is also about the ongoing failure of the international community to note any of the above. Most people probably do not know him by name, but the image of Mohammed Al-Dayeh was a public one for many years. The tough-looking, mustachioed man in military garb served as the trusted bodyguard of former PLO leader Yasser Arafat. His proximity to Arafat turned Al-Dayeh into one of the most powerful figures in the PLO leadership, especially during the 1990s and 2000s. If you wanted anything from Arafat -- from money to springing your son from prison -- Al-Dayeh was your man. He was glued to Arafat night and day. He accompanied him on his persistent globe-trotting. You can hardly find a photo of Arafat without Al-Dayeh. Insiders say Arafat "adopted" him after he was orphaned from his parents during the civil war in Lebanon. Al-Dayeh's fall from grace was rapid once his boss, Arafat, died in 2004. This is typical for dictatorial regimes that are run as a one-man show. 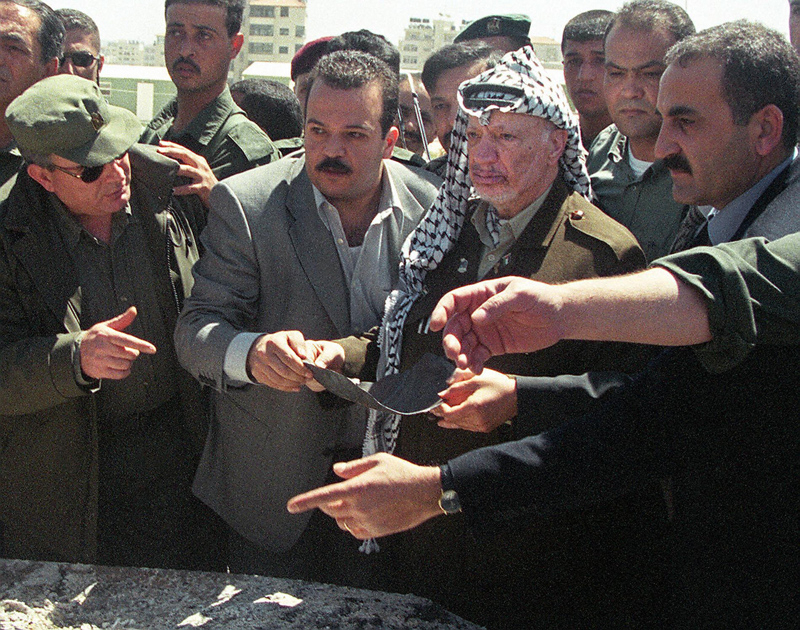 Arafat managed the Palestinian Authority (and PLO) as if it were his private fiefdom. When the emperor falls, so do many of those around him, particularly his personal picks. In the past week, Palestinians were surprised to learn that the man who was an icon of power of the Arafat era was now being held in detention in a Palestinian Authority prison in Ramallah. Reports about the incarceration of Al-Dayeh first appeared on social media, and many Palestinians were convinced that these were just rumors and gossip. How could the man once so loved by Arafat be behind bars? What crime did Al-Dayeh, who holds the rank of "brigadier-general" in the Palestinian Authority, commit? It would have to have been quite a misstep on Al-Dayeh's part. The talk that Al-Dayeh would soon be prosecuted before a Palestinian Authority "military" court aroused further surprise. Was the former bodyguard arrested, many wondered, for committing a serious security-related offense? Speculation on the Palestinian street even reached the point of considering whether Al-Dayeh was being charged with spying for Israel. Or, perhaps this was the man who had put the "poison" in Arafat's soup and which, according to the conspiracy theorists, led to the death of their beloved leader and hero – Arafat. For years, Palestinian leaders and officials have been telling us, without any evidence, that Israel was behind the "assassination" of Arafat and that it was carried out with the help of a Palestinian, whose identity remains unknown to this day. Could it be, they wondered, Al-Dayeh? None of the above. Al-Dayeh apparently did not commit any crime against Palestinian security. Nor was he involved in the "assassination" of his father figure and boss. According to Al-Dayeh's lawyer, Rawya Abu Zuheiri, her client is suspected of "bad-mouthing" senior officials and criticizing corruption of Palestinian leaders on Facebook. Al-Dayeh, she said, has been under interrogation on suspicion of establishing and managing two Facebook pages – "Sons of the Martyrs" and "No to Corruption." The Palestinian Authority claims that both accounts were used to wage a smear campaign against top Palestinian officials and accuse them of financial and administrative corruption. Such are the main charges against Al-Dayeh; they are not related to any security issues, according to his lawyer. He has been ordered remanded into custody for 15 days for violating the Palestinian Authority's controversial Electronic Crimes Law. His lawyer, however, says there is only one small problem regarding the charges against Al-Dayeh: The man cannot read or write, and as such there is no way he could have posted the offensive remarks on Facebook. In other words, the lawyer is telling is that the man who was entrusted with the personal security of Arafat and was his closest confidant is illiterate. Al-Dayeh is understandably upset by his detention. In response to the humiliation, he has gone on hunger strike. Some reports, which seem to be deliberately exaggerated, claim that Al-Dayeh's health condition has deteriorated as a result of the hunger strike and that he is now being treated in a Palestinian hospital. The real story here, however, is not about Al-Dayeh the man. This is about freedom of speech and corruption in the Palestinian Authority. It is about how Palestinian leaders are suppressing any form of criticism. Al-Dayeh may not be a saint, but his arrest is aimed at sending a message to Palestinians that no one is immune from the long arm of the Palestinian Authority. You can be the most decorated Palestinian and a symbol of the Arafat era, but once you criticize Palestinian leaders or write about corruption, you will find yourself behind bars and facing military trial. 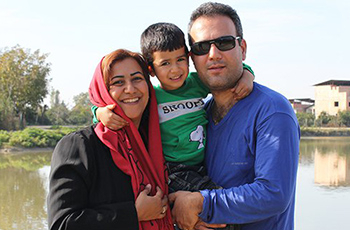 Even if the charges are true, Al-Dayeh's case should have been settled through a civilian lawsuit and not through secret military trials that are reminiscent of totalitarian regimes. If anyone felt offended by Al-Dayeh and the Facebook pages he allegedly managed, he or she could have filed a libel lawsuit. Al-Dayeh is the latest victim of the Abbas's Electronic Crimes Law, which grants his security forces wide powers to clamp down on Facebook and Twitter users who dare to express their critical views of Palestinian leaders in public. Several journalists and political activists have already been arrested or summoned for interrogation on suspicion of violating the new law. Consequently, many Palestinians are today afraid to post any comment on social media that could hurt the feeling of a senior official sitting in Abbas's headquarters in Ramallah. Al-Dayeh is far from the main protagonist here -- although his personal story might make for interesting reading. This is about the silencing of critics. This is about human rights violations perpetrated not only by the Palestinian Authority, but by Hamas as well. This is about how Palestinian leaders continue to march their people towards yet more harm and grief. This is also about the ongoing failure of the international community to note any of the above. Al-Dayeh is just a bit player, then, in a much, much greater dictatorial drama. To continue to use wording like "occupied territories," "settlements" and "Palestinians" only gives power and credence to the lies and cause of our enemies. Words are powerful. We need to stop this usage from happening everywhere and in all publications friendly to Israel. It is from there that we can start to change the propaganda narrative instead of complying with it. If it doesn't start with us, where will it start? I'm surprised that anyone would expect different behavior from the PA. While those at the top of the organization may, or may not, believe in the "cause", once they attain a position where they control a great deal of money and power, their first priority becomes retaining control of the money and power (and, maybe, increasing it). Maintaining their positions requires making it dangerous for anyone to contest them, or question their integrity, or authority. Mohammed Al-Dayeh didn't necessarily have to do anything to provoke them -- anyone well thought of by the public, and not a member of the ruling clique, is a potential threat to their power, and liable to be taken out as a precautionary measure, and an example. Fatah, Hamas, etc. have to be seen for what they are -- gangs of thieves and murderers who are using their public for their own profit and power, little different from the Mafia. They aren't concerned about rights, law, free speech, etc., but money and power. If Arafat had been concerned about the welfare of Palestinians, he wouldn't have stolen billions of dollars from the aid money he controlled, and had some of his possible competitors killed. Why should any better be expected of his successors? Khaled Abu Toameh notes, "This is also about the ongoing failure of the international community to note any of the above." I'm not sure the international community is not aware of this but they turn a blind eye to it. Now if it could only be blamed on Israel, it would make world-wide headlines. Thank you Khaled Abu Toameh and Gatestone for making people who have their eyes open aware of this. Unfortunately, this is not enough.